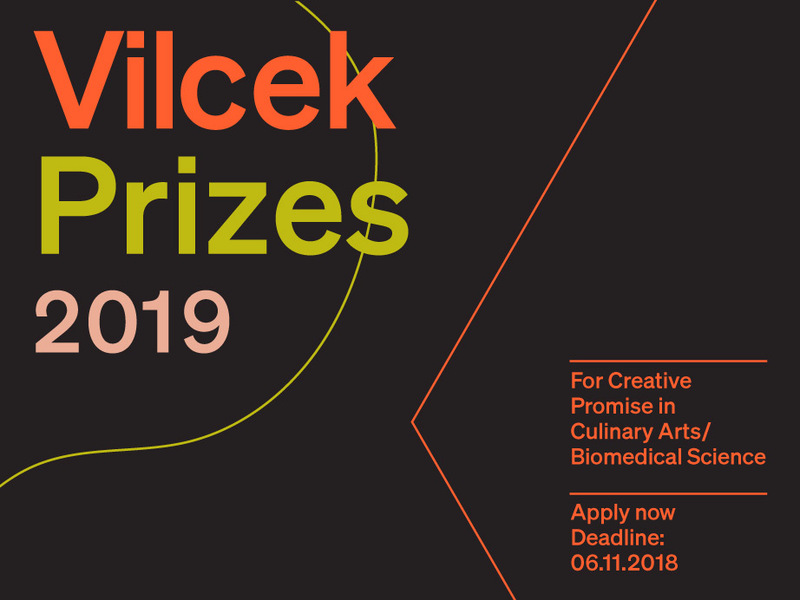 Applications are now open for the Vilcek Prizes for Creative Promise! Awarded annually, the 2019 Creative Promise Prizes will be bestowed in the fields of biomedical science and culinary arts. The Creative Promise Prizes were established to support rising immigrant artists and scientists who have demonstrated exceptional accomplishments early in their careers. Six winners—three in each of the two fields—will receive unrestricted cash awards of $50,000. Foreign-born professionals working in a broad spectrum of the culinary arts are invited to apply, including chefs, bakers, and food preparers of all types; beverage professionals, including vintners, distillers, bartenders, and coffee roasters; and individuals who foster appreciation of culinary arts, such as food writers, critics, publishers, cookbook authors, and radio, television, or podcast hosts. Applicants should have at least five years of professional experience in the culinary arts and must not be enrolled as full-time students. In biomedical science, independent immigrant researchers holding a full-time position at an academic institution or research organization are eligible to apply. They should hold an advanced degree (MD, PhD, or equivalent) and be directly responsible for the design and execution of the work submitted for consideration; applicants should not be graduate students or postdoctoral fellows working under the supervision of a mentor. Researchers from a variety of disciplines are invited to apply, including immunology, neuroscience, computational biology, bioinformatics, and more. All applicants must have been born abroad and be not more than 38 years old as of December 31, 2018 (born on or after January 1, 1980). Submissions will be accepted from March 1 to 5PM EDT, June 11, 2018. Apply today and share widely!